Garden tools can vary in quality and performance, and here at SGS Engineering we’re proud to offer you some of the best petrol leaf blowers money can buy. A powerful and durable option favoured by professionals and frequent users, a petrol leaf blower can help you turn tiring tasks that take hours by hand, into simple jobs that take only a few minutes. We’re proud to partner with world-renowned brands such as Hyundai, who match our own high standards of performance, design and price. 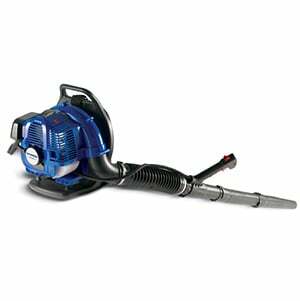 Our petrol garden blower range is incredibly versatile too, with three-in-one functionality allowing you to switch between using your tool as a leaf vacuum, blower or shredder with ease. Whether you need to maintain a tidy workspace or you’re trying to keep your own outdoor area looking its best, any one of our petrol leaf blowers can help you efficiently dispose of dirt and debris such as fallen leaves, clippings or other garden waste. At SGS, we put our own branded products through stringent tests and trials to make sure they’re fit for the job. The SGS 26cc 3-in-1 Petrol Leaf Blower, Vacuum, Mulcher & Shredder is expertly designed to be powerful yet lightweight, and comfortable too, providing the support and balance you need when working on longer projects. It’s easy to start and operate, and you can quickly switch between the blower and vacuum function by simply removing the nozzle and fitting the debris pick-up tube, material delivery pipe and fabric collection bag. We also offer a range of Hyundai petrol leaf blowers to suit different project needs and budgets. The economical and reliable Hyundai HYBV26-2 26cc Leaf Blower can help you shred, collect and blow leaves and other garden debris at speed, making it ideal for commercial and domestic use. Perfect for professionals, the Hyundai HYB60 Leaf Blower is the brand’s flagship model and offers a mighty 3.3hp with a backpack frame to help you carry its engine and blower fans easily and comfortably. We’re confident that you’ll be able to find the right leaf blower for you in our range. If your mind is split between two products and you would appreciate speaking to a garden expert to help you make the right decision, speak to our team of technicians today to find out more. 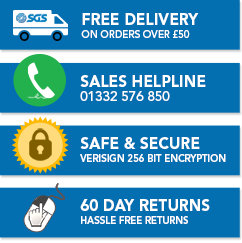 Whichever option you go for, with SGS you’ll save money with free delivery within the UK and get peace of mind with our no quibble 60-day returns. There’s always a tool out there to help you get your jobs done quicker and easier - you just have to find it. To help you get the best possible results whatever your outdoor project or task, we’ve created several informative how-to and buying guides to answer the pressing questions you may have. Not sure petrol is for you? You could opt for an electric or battery-powered tool instead. This guide breaks down the differences to help you make the right decision. Getting power tools going for the first time can be a little daunting. See our step-by-step guide for instructions on how to get your SGS strimmer up and running.